The 1964 Topps Venezuelan Baseball Card Set consists of 370 cards and parallels the American issue for this year. The Venezuelan issue, while very similar in design to the American, is most distinguished by the black background on the back of the card. 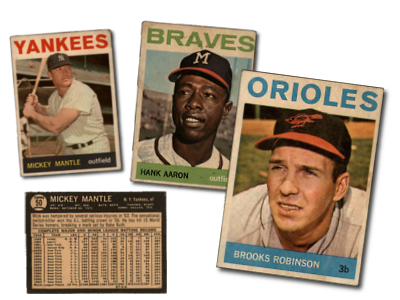 The 1964 Topps Venezuelan set was their fourth set released to the South American country, which began in 1959. For more on the Topps Venezuelan issues, please check out our write up about them on Dean's Cards Baseball blog. CLICK HERE if you want to sell your 1964 Topps Venezuelan Baseball Cards. Showing 1 to 66 of 66 products.